What Should I Do if I am Injured in a Bike Accident? I love bicycling in Minneapolis with my family! Minneapolis and St. Paul are two of the most bike-friendly cities in the United States, thanks to our local government's investment in amazing bicycle trails, boulevards and public transit. We are also very resilient here in the Twin Cities; blizzards and below zero wind chills will not deter us from commuting via bicycle. Our investment in bike lanes and other transportation infrastructure improvements has resulted in a sharp decline since 2000 in bicycle crash-related severe injuries and fatalities. But, any time automobiles and bicycles share roadways, unfortunately bike vs. car accidents can and do happen. Here are five things you should be mindful of if you or a loved-one ever suffer the misfortune of sustaining a severe injury at the hands of an at-fault driver. 1) Call the Police to the Scene. Insist that the incident is reported to the police immediately. It is very important that a police report is created to document the incident and your damages. This will also ensure that the at-fault driver's insurance information is recorded, as well as the names of anyone who witnessed the crash. While you may be required to give a statement to police, do not give any statements directly to the at-fault driver's insurance company without first consulting with an experienced Minnesota bike accident injury lawyer. 2) Go to the Emergency Room. Be sure to go to the emergency room right away to have your injuries documented and treated. It is important to know the extent of your injuries and, particularly if you sustained an impact to your head, you want to be sure that you have appropriate scans and tests completed to ensure thorough diagnosis and treatment of your injuries. Often times you will be able to obtain coverage for your medical treatment through either your own or the at-fault driver's no-fault automobile insurance coverage. An attorney can assist you in ensuring that you obtain such coverage. Follow the recommendations of your treating provider. If they recommend surgery or physical therapy it is important for you to follow those recommendations not only to ensure that you get better, but also to indicate that you have been compliant with your plan of medical care. 3) Take Photos of Your Injuries Early and Often. Have a family member, friend or nurse take photos of your injuries in the various stages of healing. Photos provide clear documentation of the severity of your injuries and it is important to document all stages of healing. Even once your injuries are completely healed, you may have permanent scarring that should be photographed as it is relevant to calculating your damages. 4) Preserve your Bicycle, Helmet and Clothing. Be sure to photograph and preserve your bicycle, particularly if it sustained severe damage in the accident. Also, be sure to consult with an attorney prior to completing any repairs on your bike. Do not throw away your helmet or clothing that you were wearing during the crash either. These items are important pieces of evidence that you will want to preserve in case your claim ends up going before a jury in court. 5) Consult with a Bicycle Accident Attorney. 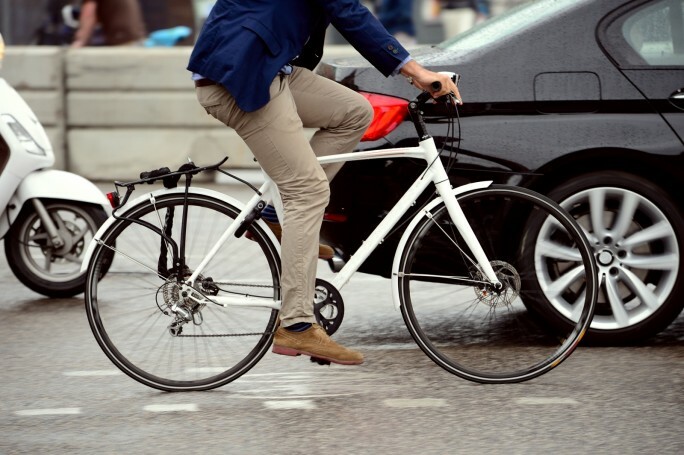 You should always consult with an experienced Minneapolis bike injury lawyer as soon as possible and prior to talking with the at-fault driver's insurance company. The at-fault driver's insurance company will likely try to get you to give them a statement and will work to settle your case quickly, before the extent of all your damages is known. You want to be sure you know the full extent of your damages before you consider any offer to settle your case, which usually takes a minimum of one year to confidently assess. Read our blog post on "How long it takes to obtain compensation for a personal injury". We are lucky to live in such a bike-friendly city! If you or a loved one suffered an injury in a bicycle crash as a result of an at-fault driver, our bicycle injury attorneys are ready to fight for you to get you the compensation you deserve. We have a recent testimonial from a client for whom we obtained the maximum available compensation for his bike injuries sustained in a car accident in Minneapolis.